I don't know about you guys, but I'll take all the energy and boost I can get! I feel like I'm tired on a daily basis! I attempt to accomplish things once Paisley has gone to sleep every night and most nights, this results in me staying up way too late. And, I am not a morning person. Actually don't. Let's not get him started on that please. 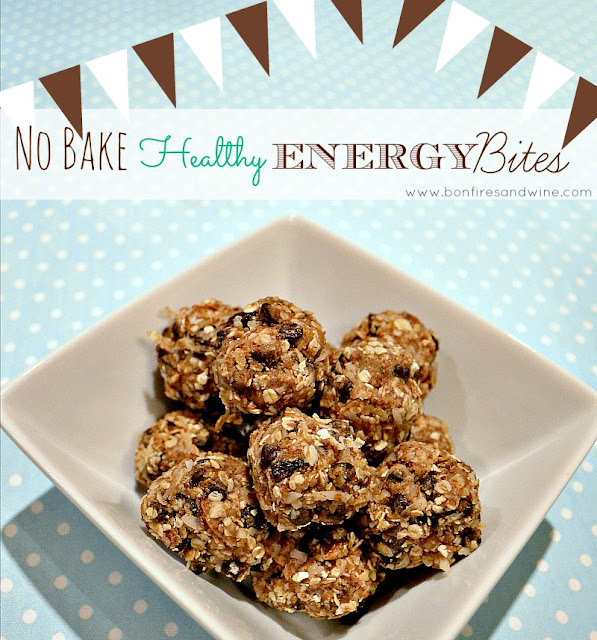 Ok, so browsing Pinterest....I came across these tasty looking bite size pieces of ENERGY! WHHHAATT???!!! So, you can check out the original recipe here, at Smashed Peas & Carrots. Hers looked delicious, but I knew I wanted to add a little and make these my own. Until it's completely mixed together. 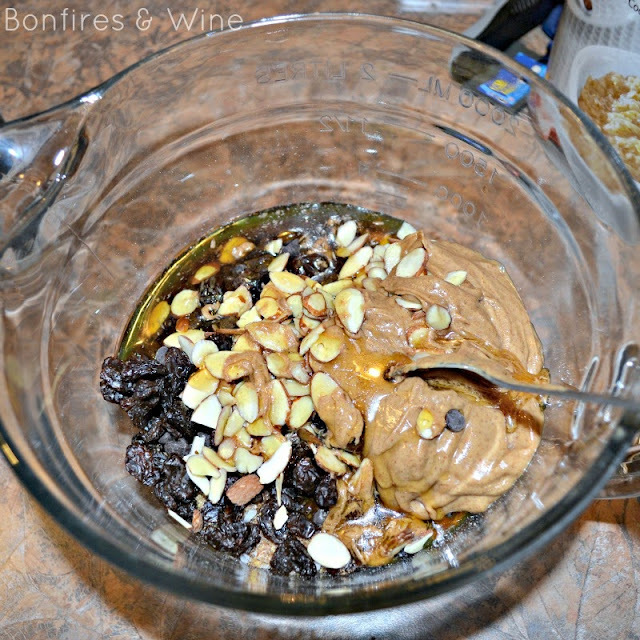 Let your mixture chill in the fridge for about 30 - 45 minutes. 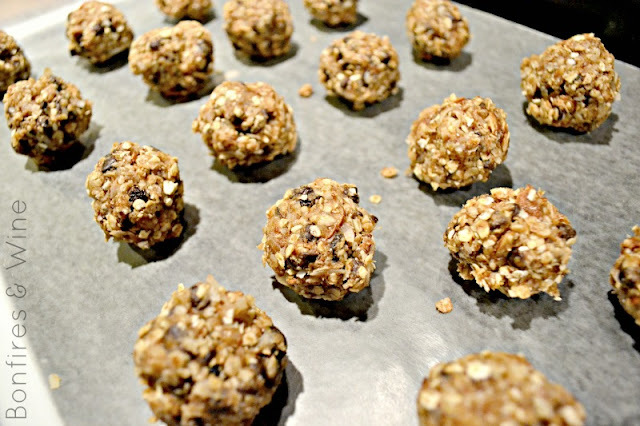 Once chilled, roll into bite-size balls and enjoy! Store in a container, in the fridge. I was so surprised at how good they really were! I mean, I know they looked good, but they really tasted even better! And HELLO! This is a healthy snack that doesn't taste like cardboard! Woop Woop! It has great flavor and really is a great go-to snack! I'm no nutritionist or professional. BUT, my friend Dr. Oz shares some great info about the benefits of flaxseed. I was also wondering if this would be considered somewhat or close to "clean"??? Anyone? Help me out here...?? I used all natural, organic honey. natural almonds and almond butter. I'm just not sure about the other stuff? 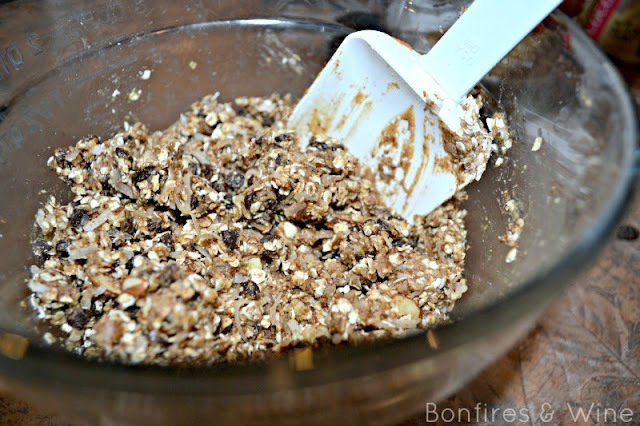 Maybe by using regular oats instead of instant? Surely someone out there can give me some feedback on this!? I'd love to make this an even better snack option if that were possible!